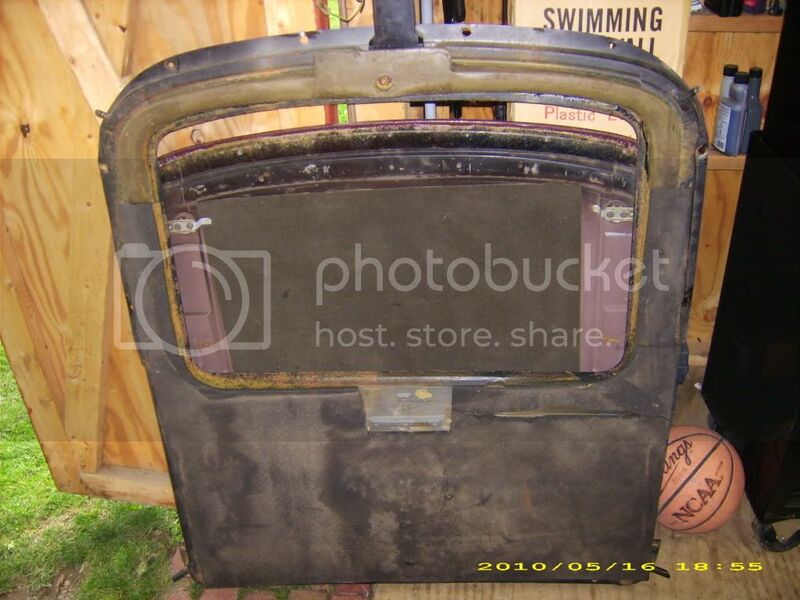 Now that I am about to start my latest journey of redoing a power moonroof car, I am wondering if anyone knows if the moonroof assemblies for these cars are the same as the ones from a grand prix? I have some replacment parts available from a 1976 grand prix but I am not sure if they are the same. I hate to waste the money on worthless parts. I would have to guess that they are all the same. Would they really make different moonroofs for every different model? Can't say for sure. There was a factory sunroof and one that was made by American Sunroof Company(ASC). And the Grand Prix has a different size roof that is shorter than a Chevelle. I believe the GP housing that bolts under the roof would be different. But the sliding panel and mechanism parts may be the same. I think it would be best if you could see the new parts and compare them to your old ones to make sure, either in person or with good pics. Steve F (67SS427) is a great resource on the sunroofs. He has put together a CD of literature and factory drawings for these cars as well as lots of pictures. I have amassed a pretty large file on the sunroof option from literature to parts drawings, etc. I'll be happy to help if you need info. Edited by DoctorLarry on 03-01-10 06:16 AM. Reason for edit: No reason given. I think I might have the parts illustrations and number sheets for both Pontiac and Chevy roofs-I'll have to check on that for you. 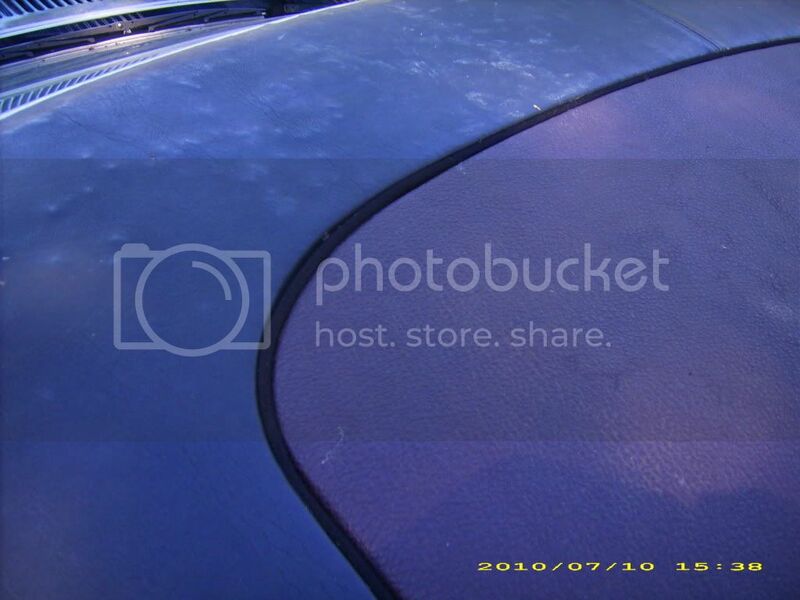 Steve F (67SS427) is a great resource on the sunroofs. He has put together a CD of literature and factory drawings for these cars as well as lots of pictures. Thanks Larry...it's already on the way to him . I finally recieved my spare skyroof and I got to look into it a little. I have a quick question for you skyroof guys. I notice on the back corners of the movable part there are a couple of tensioned pieces of metal that pivot. I think they are called rear tension springs. I am wondering if in normal use they are supposed to be on top of the black rollers or below them or turned in towards the center of the car? I noticed on both my car and the complete skyroof assembly I recieved they were all turned in towards the center of the car. This doesn't seem right to me. Could you guys give me an idea. 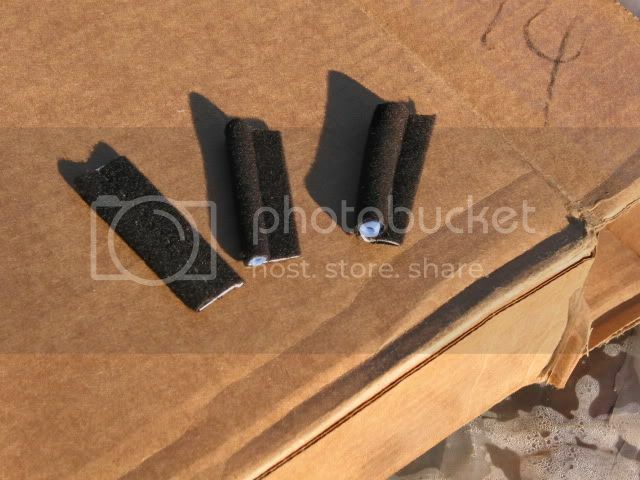 Also what do those black rollers do on the back part of the skyroof? They don;t seem to ride on anything? Edited by bitterfitter on 04-04-10 04:57 PM. Reason for edit: No reason given. Thanks alot Steve. I think I have a handle on this now. Steve, I just wanted to say thanks for all the help with the skyroof. I got the weatherstripping from your contact and it worked great. 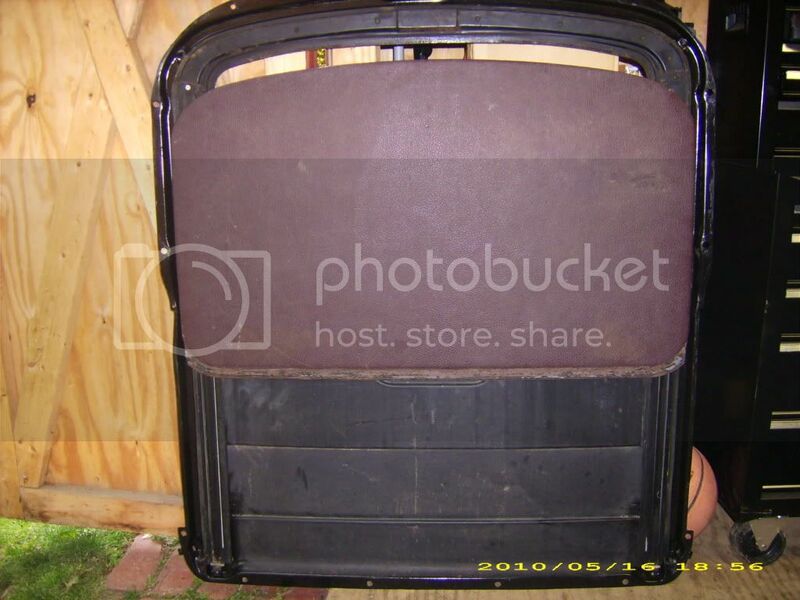 I also took my whole skyroof out of the car (whole assembly)and went through the whole thing. I swear it looks and works like new. Thanks again for all the help and as soon as I figure out how to post pics I will get some on here for all to see. Edited by bitterfitter on 05-10-10 06:37 PM. Reason for edit: No reason given. You've been very industrious . Glad it turned out well and look forward to seeing some pics. Here are a few photos It may not look it but other than dusty it is working like new and no rust anywhere. Edited by bitterfitter on 05-19-10 06:38 PM. Reason for edit: No reason given. 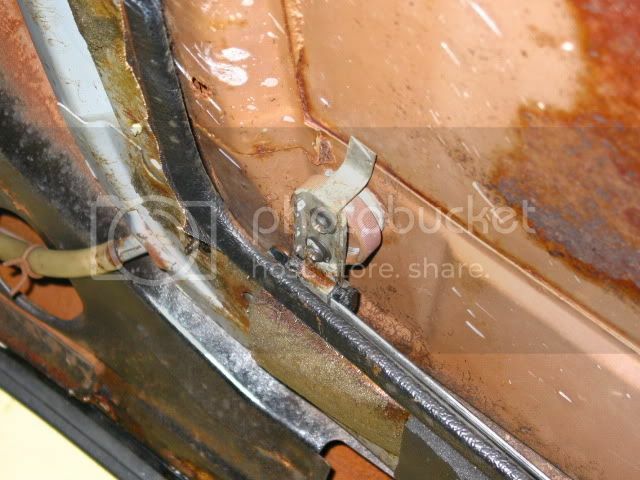 Can you help me with the MOONROOF WEATHERSTRIPPING on a 1976 MONTE CARLO? Steve (67ss427) was able to get me in touch with a guy in Vegas that had weatherstripping that worked. I have to say I wasn't impressed at first when it came. After I installed it and tried the roof; it works amazing. It looks great and no problems at all. Very good stuff! See if he can give you the contact info. Yes, Try Jake Kelley at Kelley's Sunroof Parts, phone 1-888-298-8140. It won't be like the original rubber seals, but as Bitterfitter says, it works and looks neat. He should post a picture of the sliding roof in his car so we can see how it looks installed . Below is a pic of the seals. 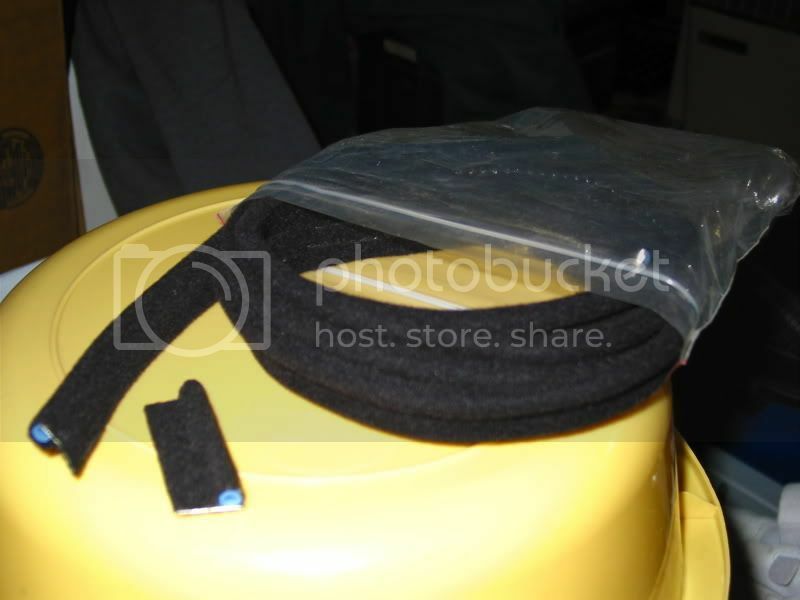 It's a blue tube covered with black felt material. It comes in several different thicknesses since the gaps around the sunroof panel can vary in size. Mr. Kelley can send you some samples like in this picture. And once you measure to see which sizes you will need, you can order some lengths of it. I will get a few photos on real soon. Again I was very happy with the weatherstripping and wish the rest of the car went that smooth. I just called up and told them I needed some w/s for a '74 malibu and gave them a card #. Couple days later there it was. No problems and no questions. Easy. Do you guys know if the switch used for the skyroof was used for any other applications? My original switch is broken and I may want to replace it someday. I was just figuring GM didn't make this switch just for these few skyroofs; did they?? The roofs were used on Chevelles, Monte Carlos, LeMans,Grand Ams, and Grand Prix models. I'm sure they used similar switches. Steve might know. I just figured that maybe they used these also for door, window, etc. switches. If they only used them on the skyroofs they will be impossible to find. I ended up using a chrome sunroof switch from a 1978 Olds. I is new so it looks good and works good. I didn't cut any wiring I just made an adapter wiring harness and fabricated a new bracket for it. This way I can go back to the original if I get one. here is a photo of the new weatherstripping installed. It works great and looks great. Don't mind the two tone roof vinyl. I will be rovering soon. I need you guys with the skyroof cars to help me out. 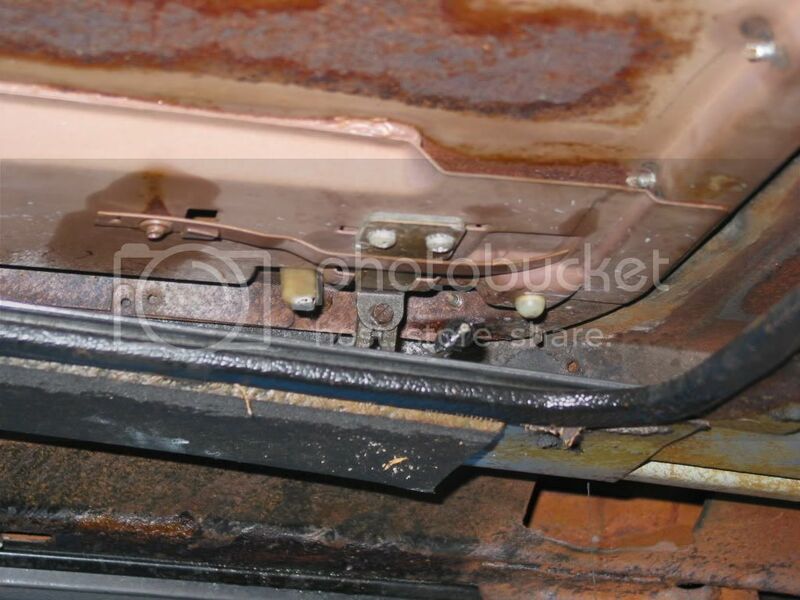 I was just looking on Eb*y and noticed an auction for a 1973-77 chevelle sunroof switch. Seller claims it to correct for our cars. My question is that the one from my car looks nothing like this one. Mine has a black plastic rocker switch that has an arched chrome body around the outside and has 4 flat terminals on the back. Is mine correct or the one in the auction? If his is correct I would love to know. I can post a photo of mine if need be. Edited by bitterfitter on 07-13-10 06:39 PM. Reason for edit: No reason given. Never mind guys the auction has ended. Do any of you guys with the skyroof option have pics of your switches?